Need your daily fix of free apps? We’ve handpicked 46 iPhone, iPad and iPod touch apps that are free today only. 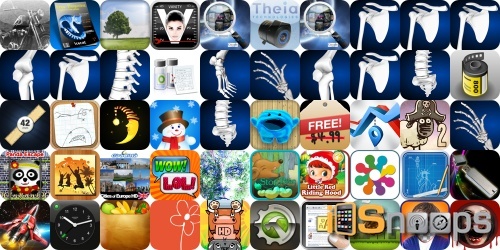 This apps gone free alert includes Blueprint 3D, Doodle Movie Challenge, Total Defense 3D, Appygraph, Super Laser: The Alien Fighter, Place My Face, Alarm Clock – One Touch, and many others. Remember, prices can change quickly and without notice, these apps may not be free anymore when you read this post. For real-time app deals, check out our iPhone Apps and iPad Apps sections, as well as our Apps Charts. You can also check out our Apps Gone Free section, as many free apps uncovered over the last couple of days are still free today. Magic Message – Send Color Text Messages!